Finding a preschool in San Francisco has been likened to applying to college. But it doesn’t have to be that hard! 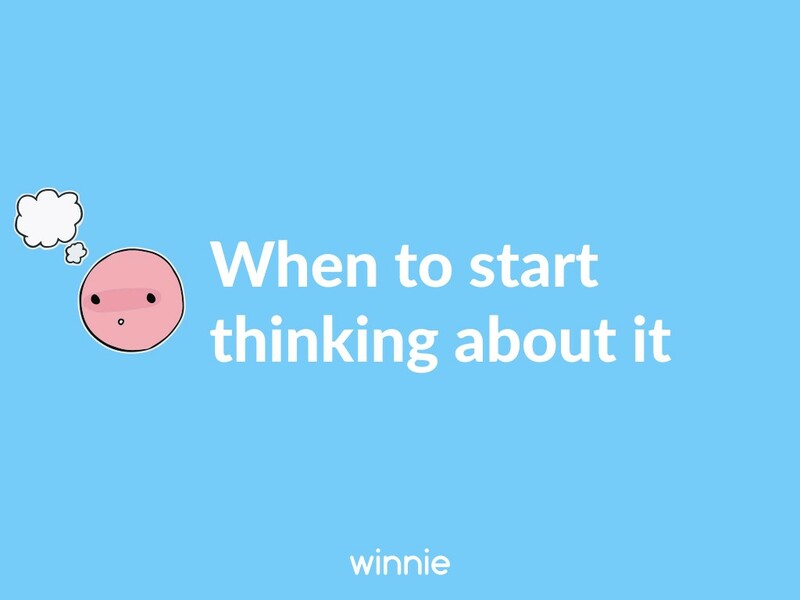 At Winnie, we’re all about making parents’ lives easier and demystifying the preschool process is one small part of that. 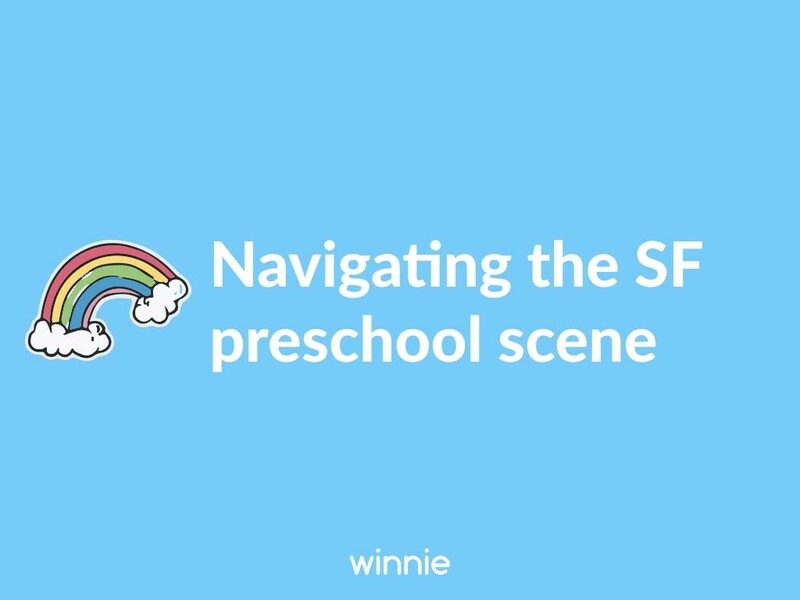 Below is an overview of everything you need to know about the preschool scene in San Francisco so you can find the best school for you. We’re here to talk about preschool and how to plan for your child’s early education in this crazy, beautiful city of San Francisco. 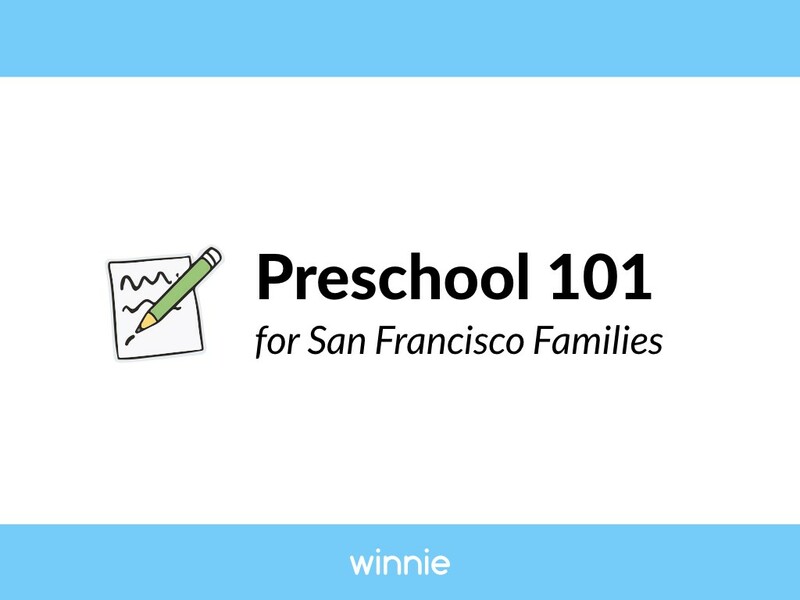 We’ll start with a quick introduction to the basics, then go straight into a deep dive of the preschool scene in San Francisco. 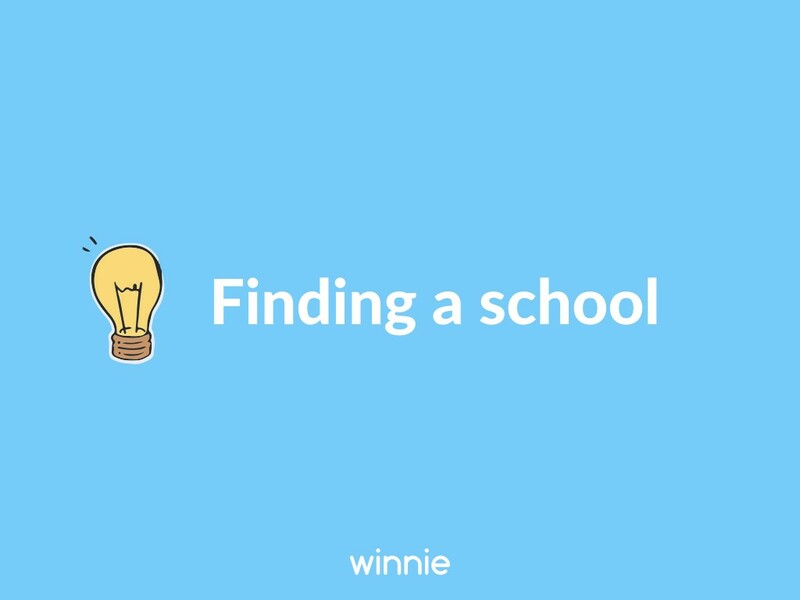 We’ll give you an overview of what’s out there, when you should start thinking about it, what you can expect to pay and how to go about finding the best school for you. So let’s start with some basic building blocks. 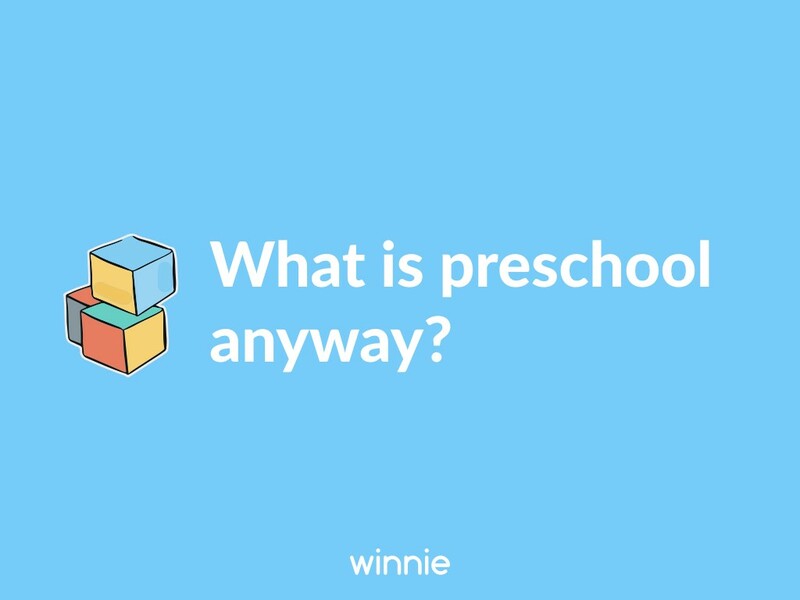 When we say “preschool” what specifically are we talking about? 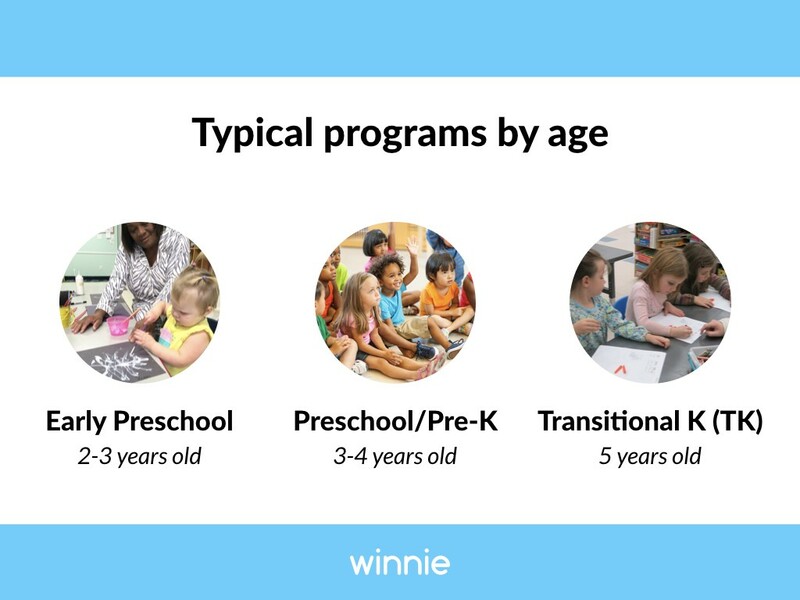 These are the most common preschool programs. Early preschool: These programs for 2–3 year olds generally focus on building social skills and comfort in a group setting. Potty training is often not required at this age. Preschool: The traditional preschool program is for 3–4 year olds and is designed to lead right into kindergarten. 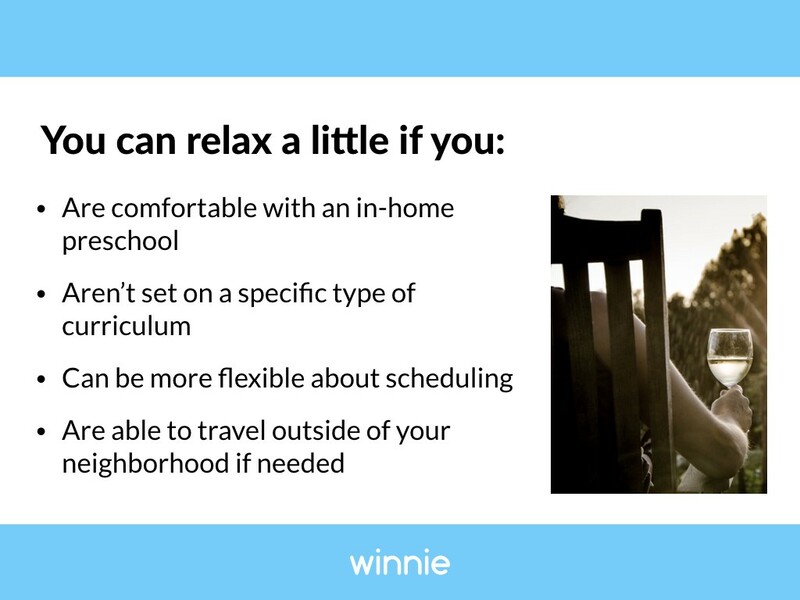 Preschool may follow a “school day” structure that helps kids become comfortable with the classroom environment. Curricula vary widely, but they all share a common goal: to prepare kids for success in grade school. Transitional Kindergarten: Special program for children who miss the September cutoff for school the year they turn 5. Essentially it is a free extra year of schooling, with a slightly gentler curriculum than kindergarten. Parents can choose a private school or they can enroll through the public school district. That said, there are endless variations when it comes to preschool. Some programs are very academic, while others are based in the creative arts, foreign language, religious education or straight-up play. Some have mixed-age classrooms while others group children with their peers. Some don’t have classes at all and take place outdoors 100% of the time! 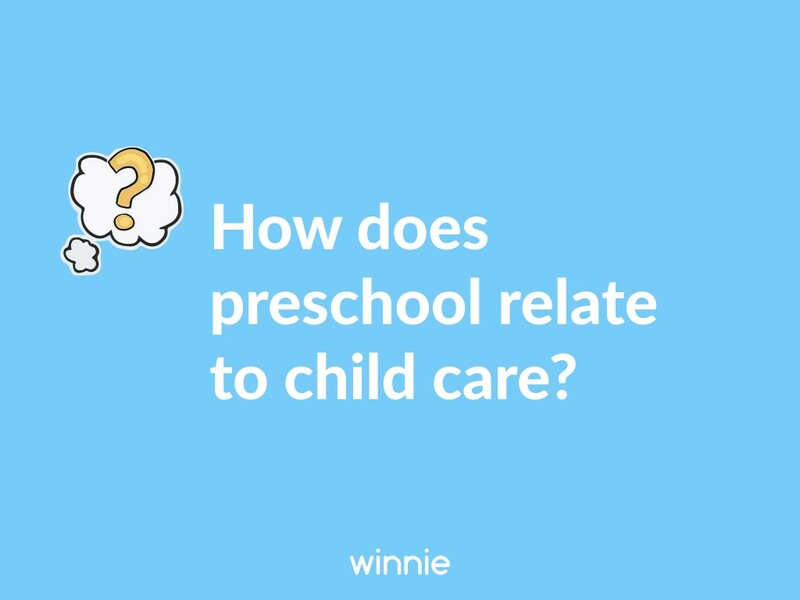 Which brings me to another question parents commonly ask: with all this variation, how does preschool relate to child care? There is a huge amount of flexibility out there to match what’s good for your family. 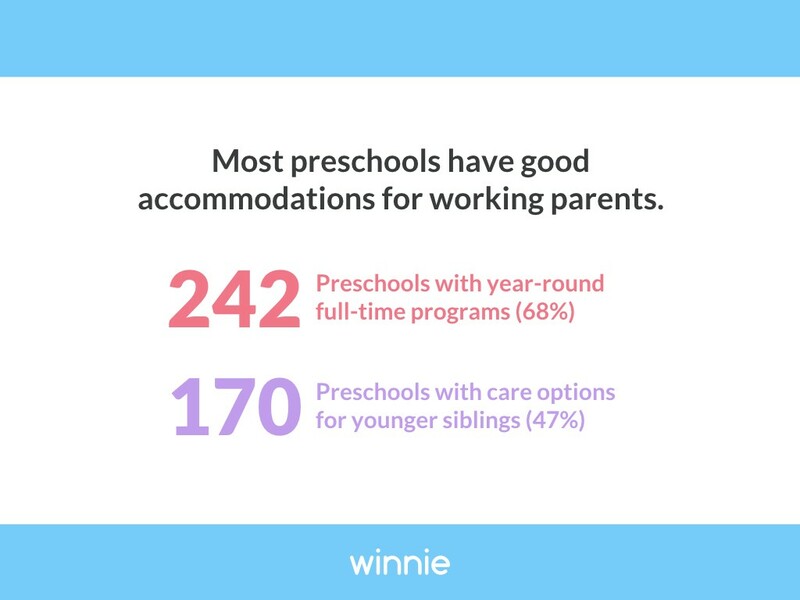 If you need full-time child care, the good news is that many preschools are set up to accommodate working parents, with either full-day schedules or aftercare programs. 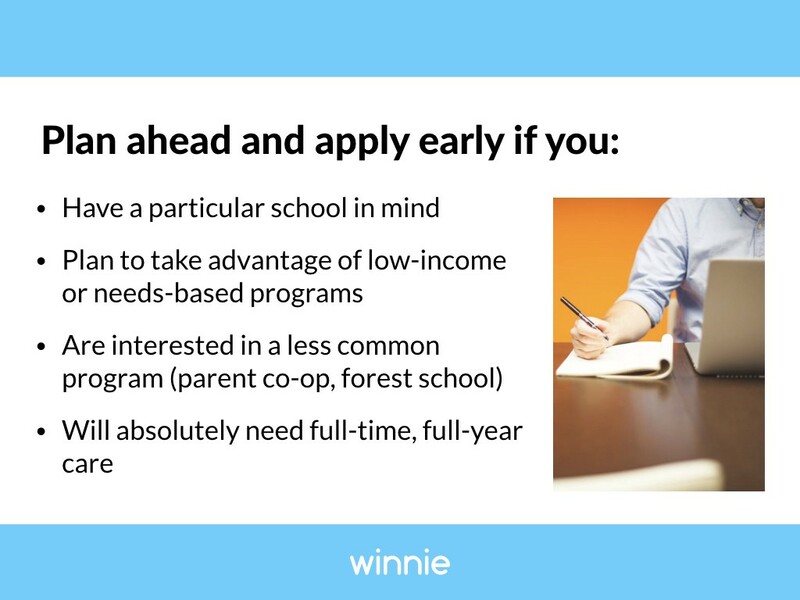 Likewise, if you don’t need or want full-time child care, there are lots of part-time programs with morning or afternoon sessions. 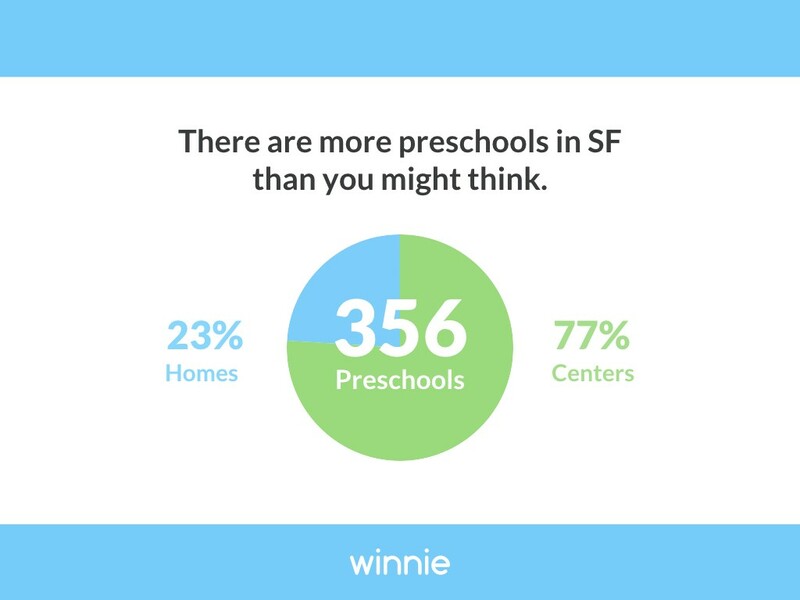 So now let’s talk about some of the data we uncovered while surveying the current landscape for early education in San Francisco, so you know what to expect. The first point I want to make is that there are a LOT more preschools than you might think. SF can seem like a super competitive environment — I’ve heard more than once that you’re screwed if you didn’t enroll when you were pregnant. The fact is that just isn’t true. There are a huge variety of quality programs to choose from. Of the schools we surveyed, less than half were fully enrolled. We found over 60 preschools with openings either immediately or in the fall. So if you were like me and waited a little too long to enroll, you would still have a huge number of schools to choose from. Another thing that is wonderful about San Francisco is the enormous diversity of curricula we have. If you’re looking for a Russian immersion Montessori inspired project-based primarily outdoor preschool, you could probably find that. In fact, bilingual or immersion programs are incredibly popular. 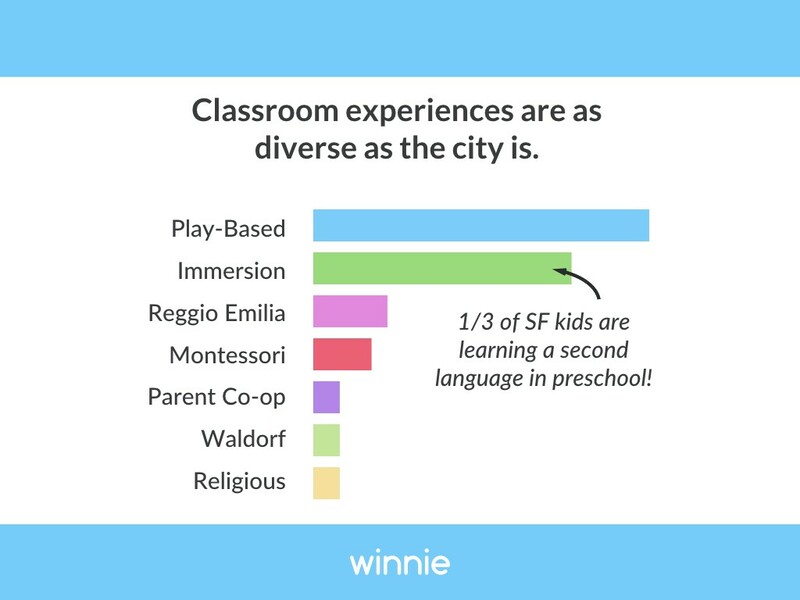 Over 1/3 of SF kids are learning a second language in their preschool! The distribution of languages definitely aligns with San Francisco’s demographics. We live in a diverse city and we have preschool teachers from all over the world. 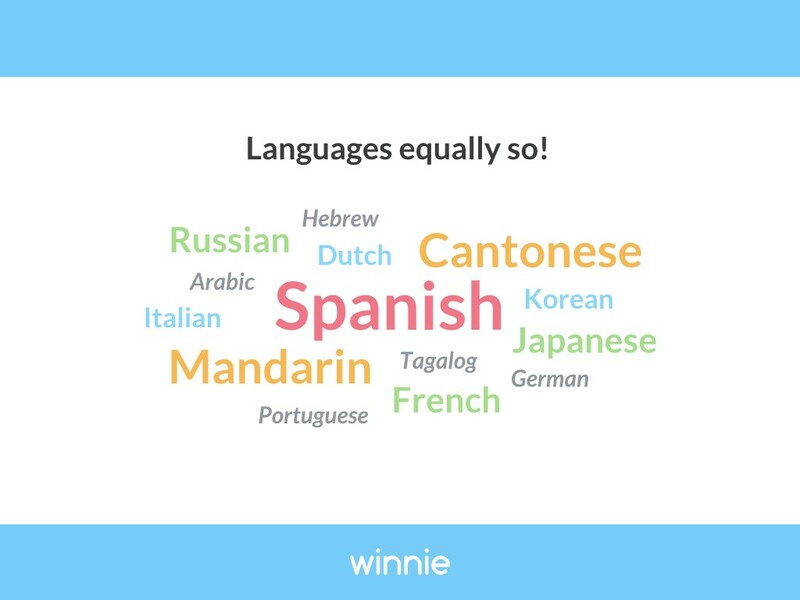 If you want your child to learn a second language, this is a great time to start! If you do need full-time child care, most preschools can accommodate you. About 2/3 of them offer full-year, full-time programs, and about half of them can accommodate younger children, either with an attached daycare or a mixed-age classroom. This is a big win for working parents with two or more children — managing drop-offs at multiple locations is a major hassle. So clearly, there are a TON of great options to choose from. With the exception of the most popular schools, you generally don’t have to enroll years and years in advance. However, planning ahead and securing a spot a year or two in advance can still be a good idea in some cases. Here are some rules of thumb to help you figure out the right timing. First I want to explain that there are two types of preschool — those that run year-round and those that utilize the school year from September to May. Generally speaking, the year-round schools will enroll new students at any time, but they are most likely to have spaces in the fall when children are graduating to kindergarten. The school-year programs often like to enroll the whole class for a given year at once, usually in winter the year before. 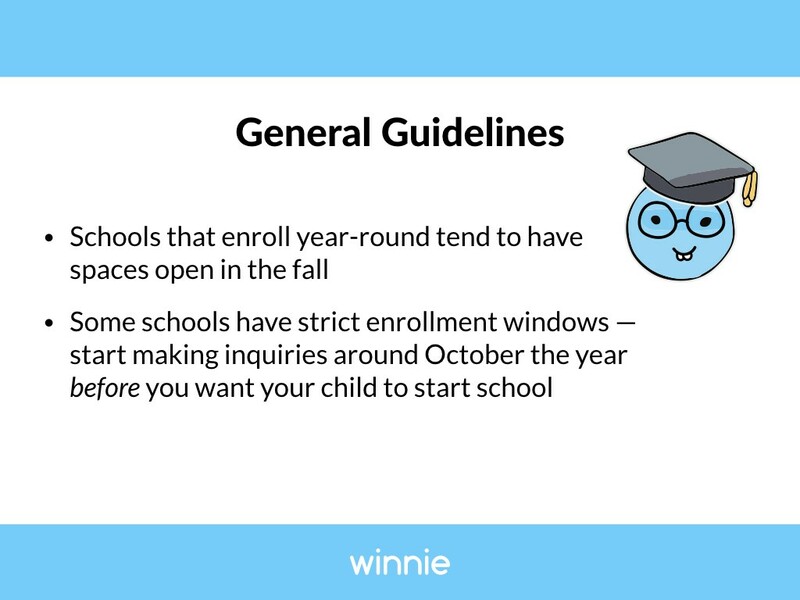 These schools may not accept applications outside of their enrollment window, so start making inquires around October of the year before you want your child to start school. 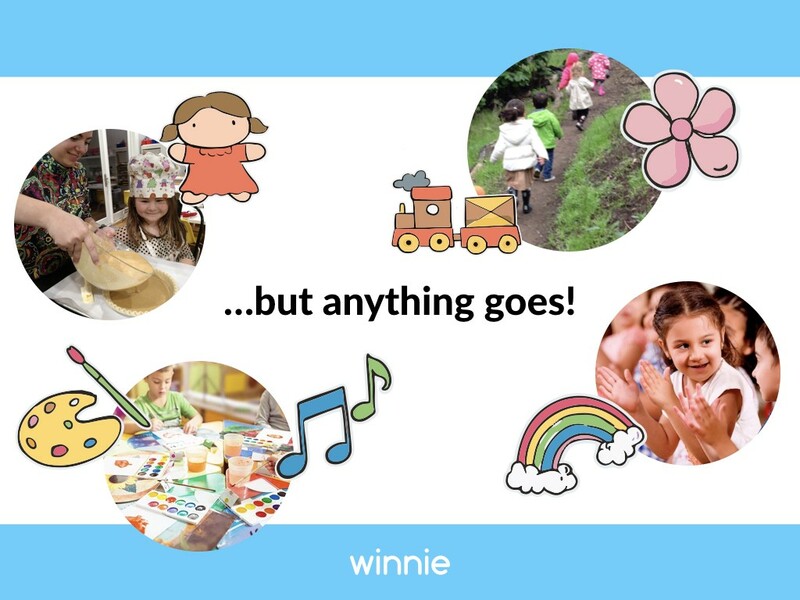 Finally, here are some tips and tricks we’ve heard from the parents on Winnie who have been through this process. Be persistent! 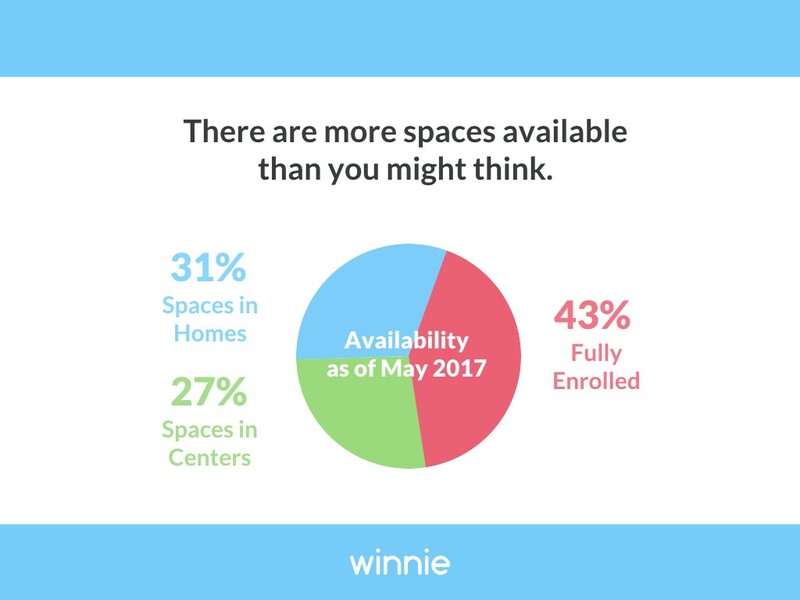 Spaces do open up at all times of year due to changing family circumstances. It can’t hurt to check in every few weeks if it’s a program you really love. If the school is associated with a church or organization, they often give admission priority to members. 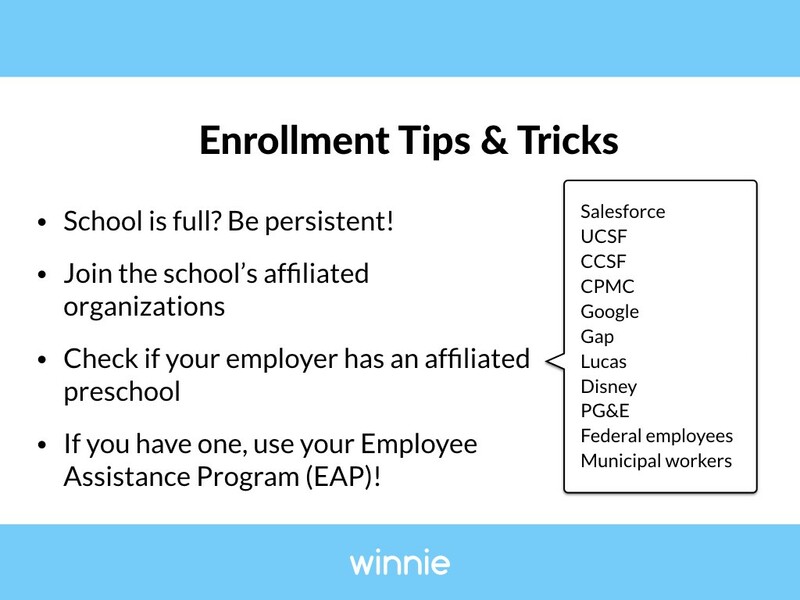 Check if your employer has an affiliated preschool. These are some SF employers associated with schools where employees get priority admission. Check if you have an Employee Assistance Program (EAP) through your employer. Many of them have a service to help employees find child care. They can do a lot of the grunt work of calling around and scheduling tours. 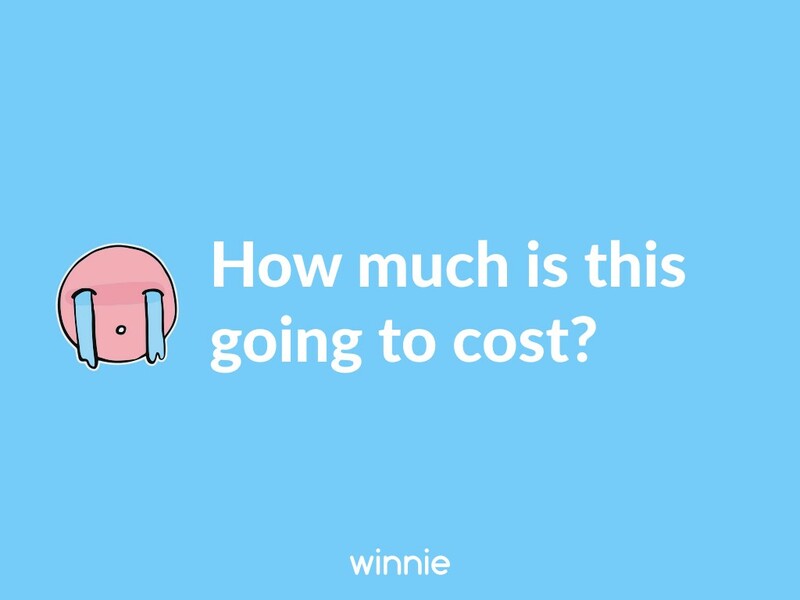 Finally, let’s discuss the big question — how much is this going to cost? 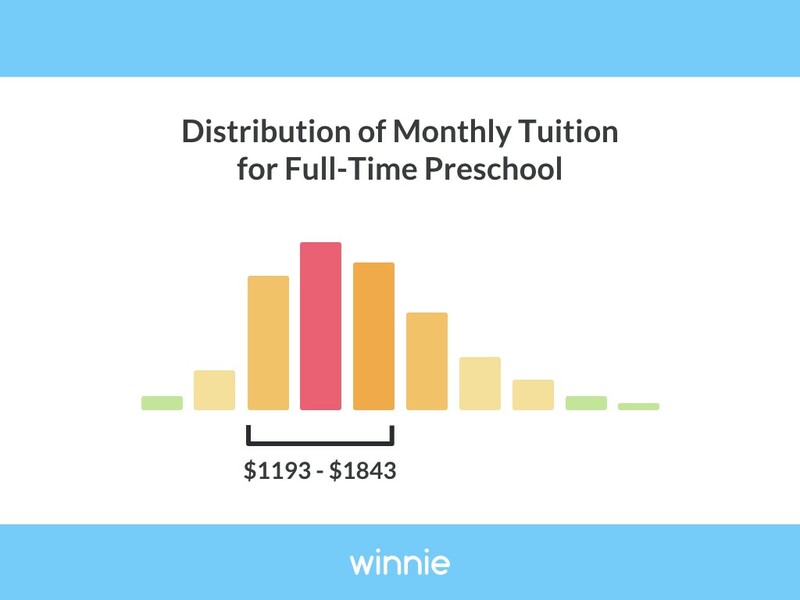 In most cases, preschool isn’t free. Here are some rough guidelines so you know what to expect. 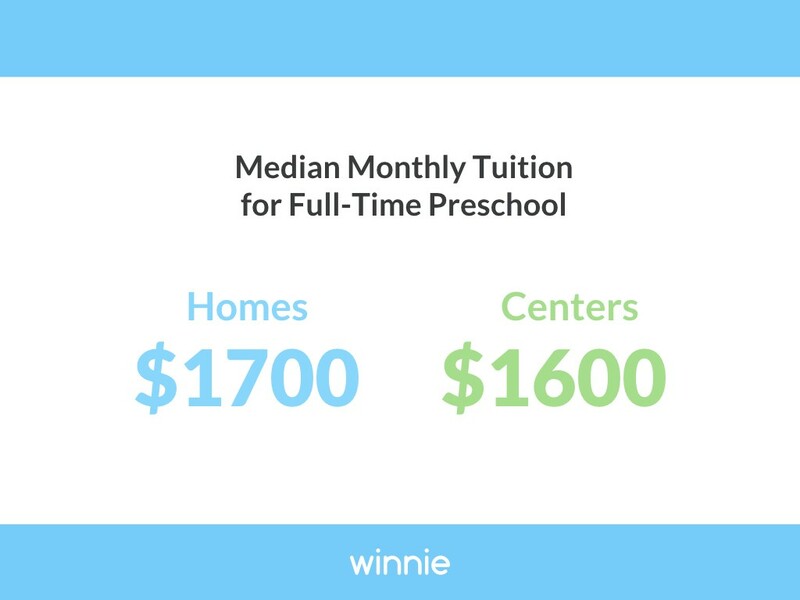 Based on our data, these are the median monthly fees for full-time preschool programs. Like everything else in San Francisco, it’s expensive. These numbers are twice the national average. But before we freak out, let’s take a look at the distribution. As you can see, most schools fit into this chunk here with a range of $1193 to $1843. So there are still plenty of less expensive options out there, as well as a number of needs-based programs that can help if you qualify. 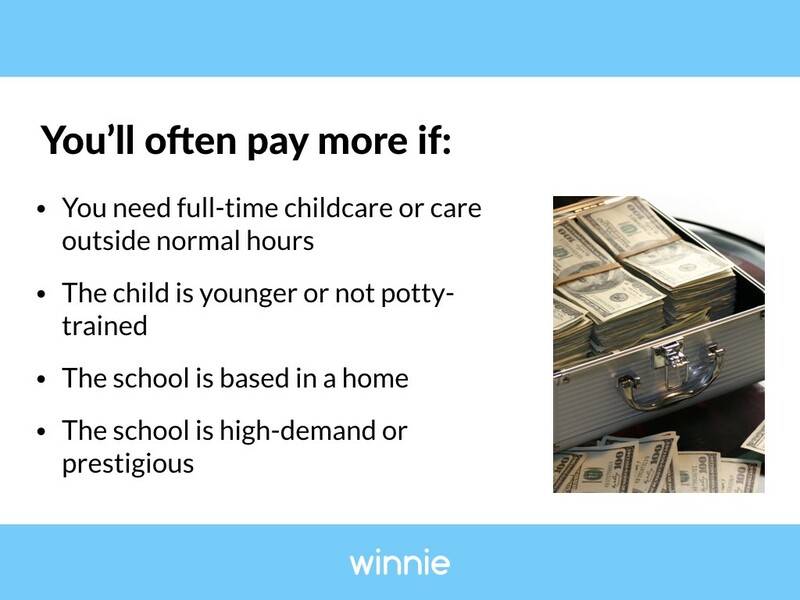 You need full-time childcare of care outside normal hours. Your child is younger or not potty-trained. Schools who have to have extra staff to accommodate diaper changes will factor that into their tuition. The school is based in a home. This may be a little counter-intuitive, but it’s because centers have a much higher capacity, with an average classroom size of 30 and a higher ratio of students to teachers. In-home preschools are limited to either 8 or 12 depending on their license, and have much lower ratios. Finally, you’ll definitely pay more for an in-demand, prestigious school. You are able to participate in a parent co-op. You’ll have to volunteer, often one day per week teaching or assisting, but fees are much lower — the average monthly tuition for a co-op is $400. As mentioned before, center-based programs tend to be cheaper. If your schedule is flexible, you can choose a part-time program that fits your budget. Many schools offer 2 or 3 day/week programs. If you qualify for financial aid. Generally this is based on income. If you think you might qualify, head to childrenscouncil.org and check out their excellent resources for families. If your child is over 4 and you’re a resident of San Francisco, congrats! 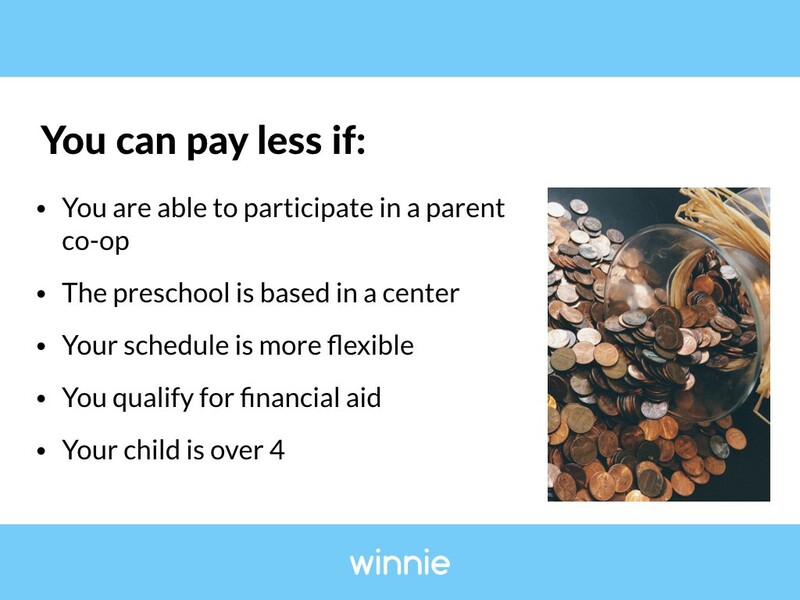 You get to use the SF Preschool for All program, which automatically takes 25% off the cost of preschool — no matter what your income is. Not every school offers this benefit, but MANY of them do. Okay! So just to recap, so far we’ve learned about the types of programs out there, what our options are regarding schedule, curriculum and price range. It’s clear that San Francisco parents have a lot to choose from. How in the world are you going to sort through 356 preschools and choose the right program for you? Well great news, because there’s an app for that! 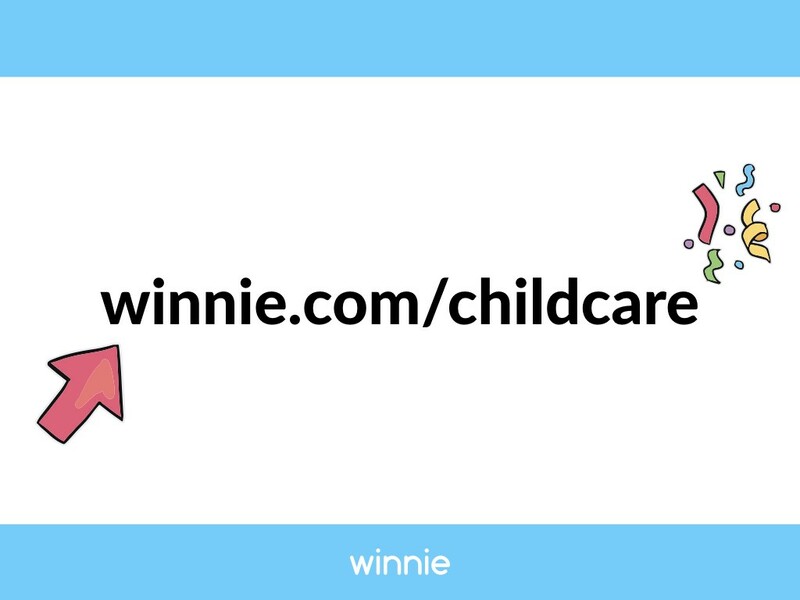 Check out winnie.com/childcare. 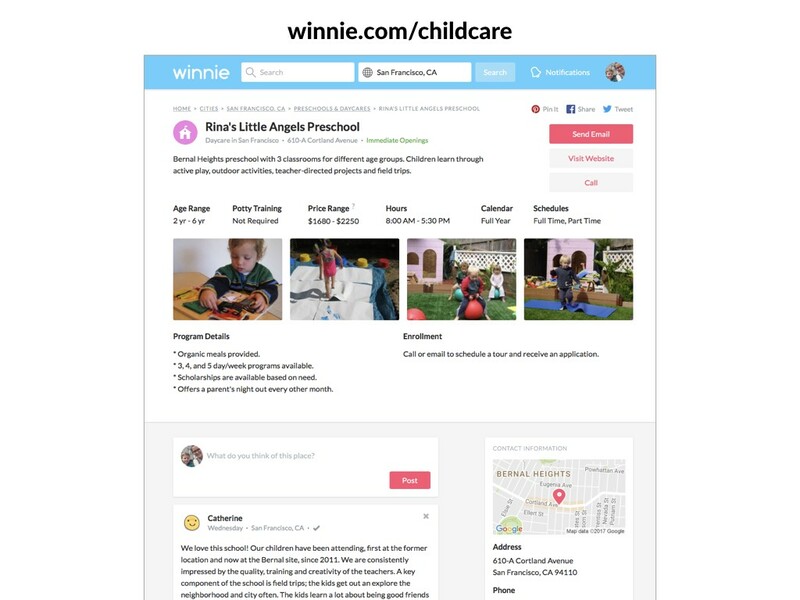 We’ve collected data about every single licensed preschool and daycare in San Francisco and put it into one place you can search and filter. It’s completely free, you don’t even have to sign up. We built this because we know early education is EXTREMELY important to the development of young children and we want parents to be able to navigate the huge variety of options available to them. You’ll start by entering the zip code you’re interested in. People generally look for places either close to their home or work to make drop-offs and pick-ups easier. 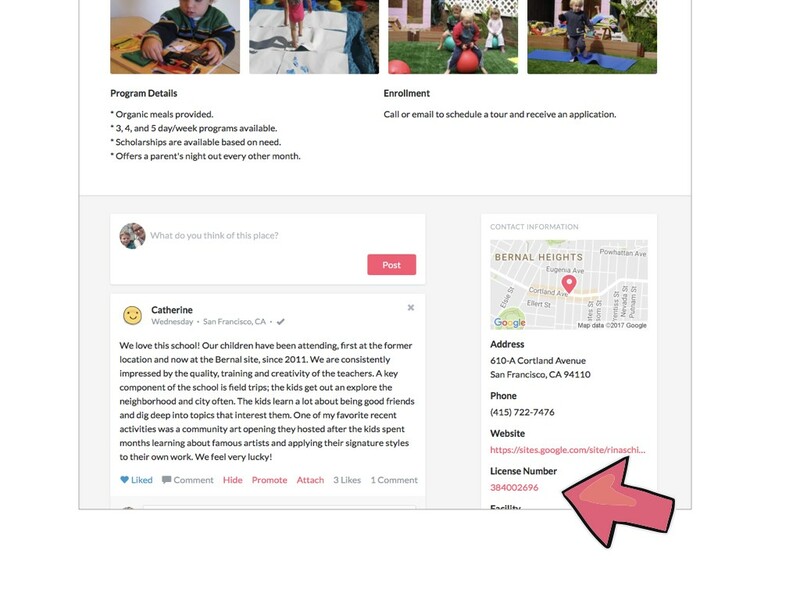 When you get to the search results page, you’ll have the option to drag the map around, search for programs by age, filter by type of facility, schedule, and even find programs with openings this month. 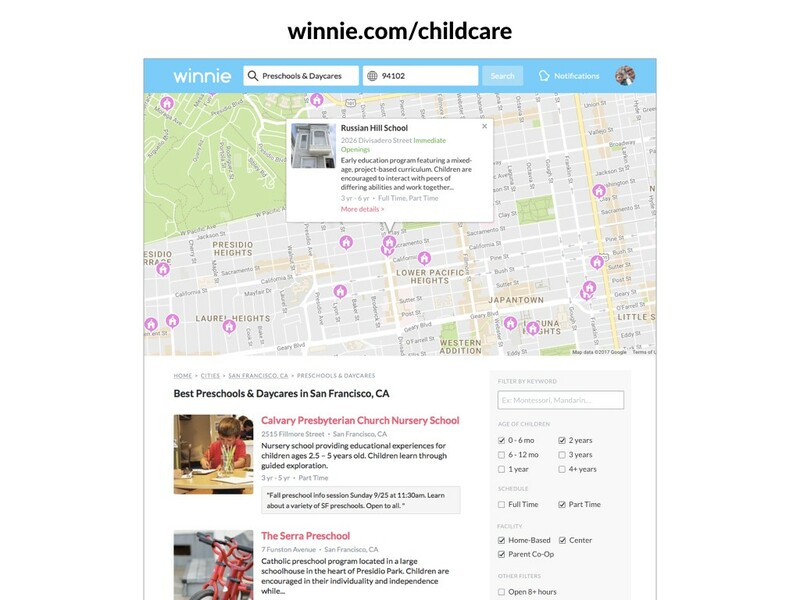 The Winnie page for a school is designed to give you a place to start in your research. It has a short description, some information about the program, sometimes tuition, hours and photos, so you can see if it could be a fit for your family. Browse around, and bookmark or pin the ones you like. 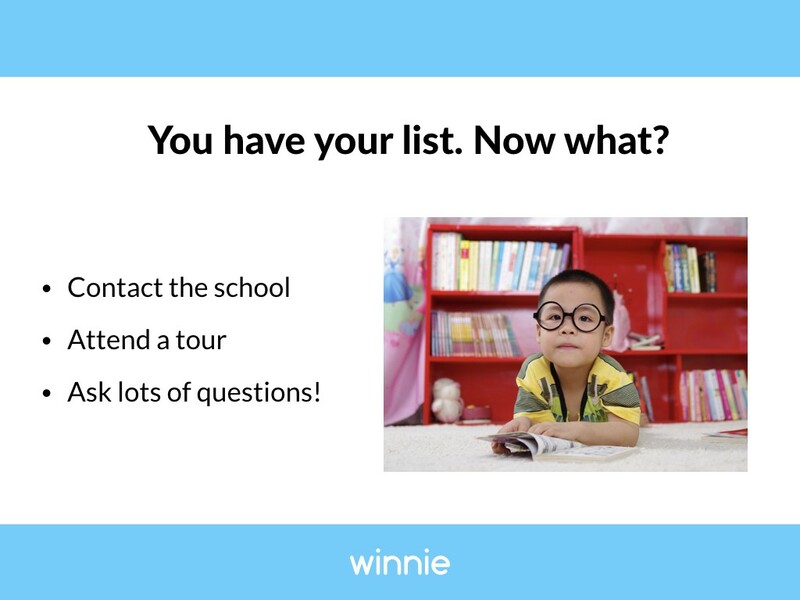 Once you have your list, it’s time to start reaching out to the schools. This first email or call can be pretty brief — introduce yourself, give the age of your child and indicate that you’re interested in their program. The next step is likely to be a tour of some kind, either an open house or 1:1. Definitely ask if you should or should not bring your child to this first visit — providers are all different in what they prefer. The in-person meeting is your best opportunity to get information, so it’s a good idea to have a list of your most important questions written out so you don’t forget anything while you’re there. There are many, many things to consider when choosing a preschool — we could give an entire talk just about that. But these are some general basics that you’ll want to think about. How will you as the parent be involved? 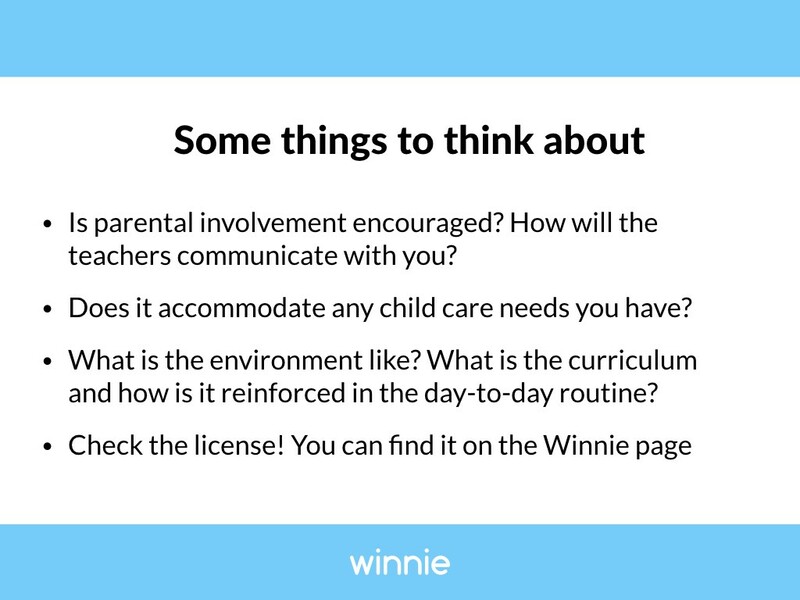 Find out how teachers communicate with the parents and how you will get feedback about your child’s behavior and progress. How are disputes between parents and teachers handled? If you have child care needs, does the school accommodate them? What do they do to make drop-offs and pick-ups easier? What if you happened to be late? Observe the environment closely and if possible, observe an actual class with the teachers your child would have. Does the day-to-day routine reinforce the school’s overall curriculum? Does it seem like a safe and nurturing environment? Finally, many people aren’t aware that information pertaining to the schools’ license is publicly available. It’s really smart to check this out! You can find a link to the school’s license on their Winnie page, under the “Contact Information” section. I highly recommend checking it out. All licensed preschools are inspected regularly and these inspections are public information. You can also see if any complaints have been filed against the school and even subscribe to updates in case their licensing status changes.